03 Who’s In The Strawberry Patch With Sally? 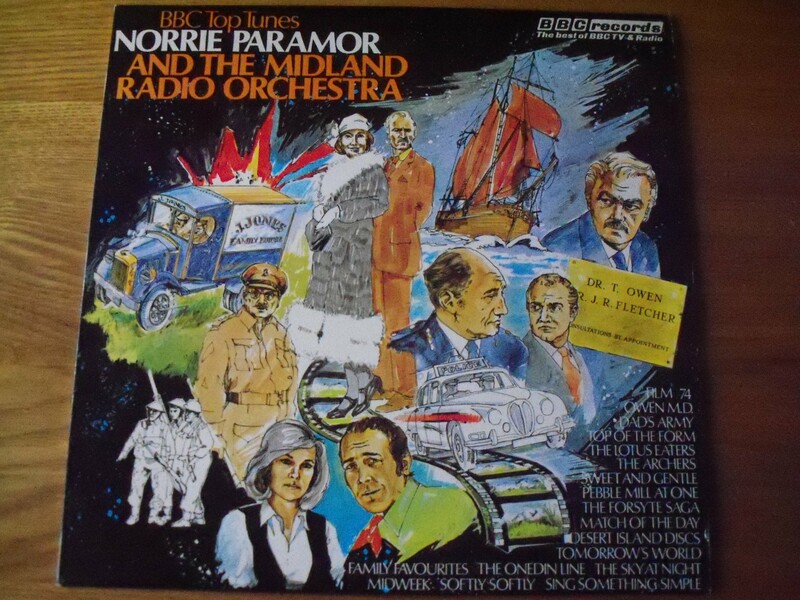 The third collaborative album between Norrie Paramor and The Midland Radio Orchestra was released during 1975 and is confusingly titled Radio 2 Top Tunes Volume 2. Key tracks include the stark and lonely Ebb Tibe, a reflective Love In Bloom and a stirring She. The Harry Lime Theme is wonderfully evocative especially when listened to with closed eyes while Norrie’s bash at Popcorn is fabulous stuff – slowed down beats yet still funky. You’ll find yourself standing to attention when the opening strings of The Chorus Of The Hebrew Slaves kicks in and then being nicely surprised by the shimmering orchestral take on classic 1960s staple Georgy Girl. 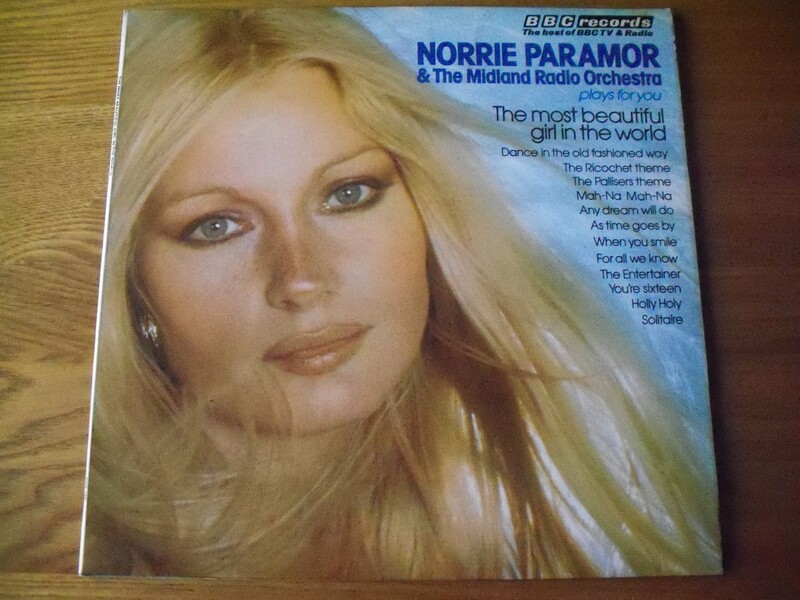 The Most Beautiful Girl In The World was the follow-up to BBC Top Tunes in late 1974. It’s a consistent LP with a breezy title track, a mournful version of The Pallisers and some great swinging lounge in When You Smile. 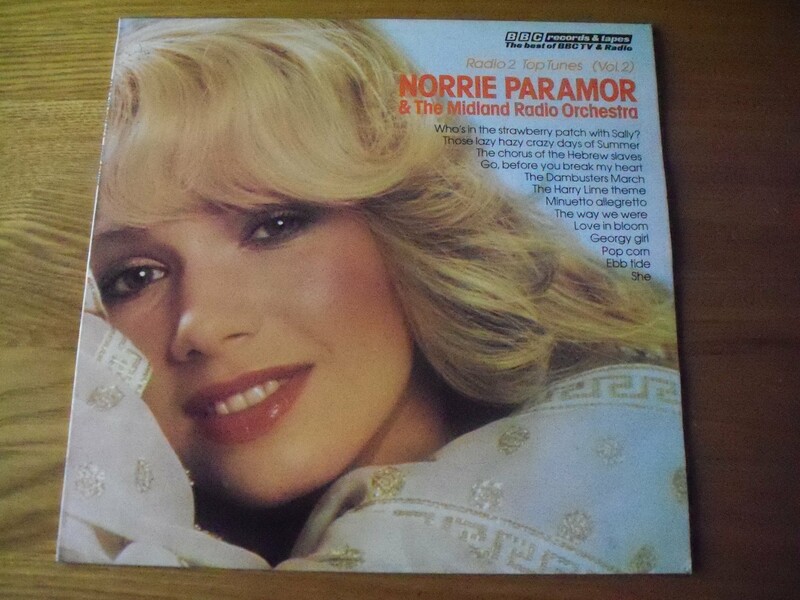 Other memorable tracks include the downbeat Solitaire and the funky dollybird brass of The Ricochet Theme. Beat-diggers may dig the groovy version of Mah-Na, Mah-Na that closes the album. 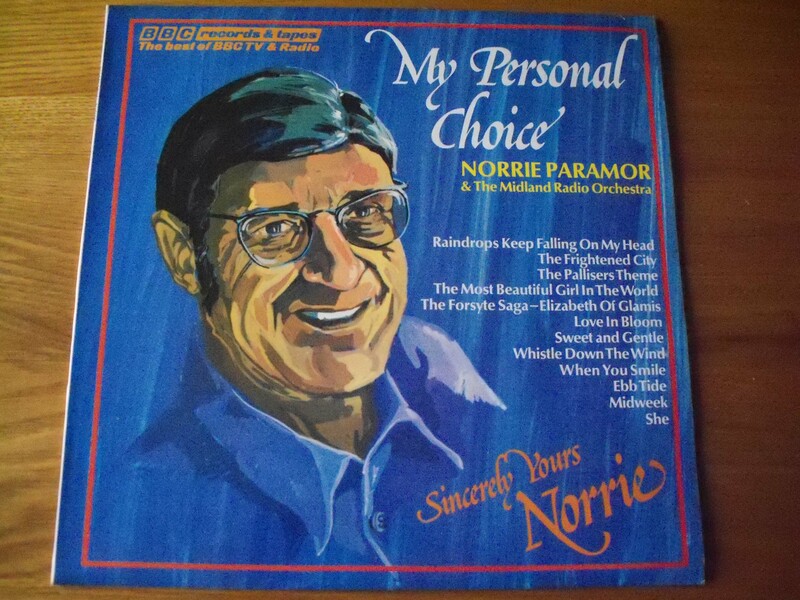 Released in 1974, BBC Top Tunes is the first of five collaborations between Norrie Paramor and The Midland Radio Orchestra. Highlights are a groovy version of John Scott’s Midweek theme and a bouyant bash at the Pebble Mill and Tomorrow’s World themes. Check out the fuzzy guitar at the beginning of that sweeping medley. The remainder of the album is pretty sedate and lush with a strings overload on both Sweet And Gentle and The Forsyte Saga. Sleepy Shores manages to sound pretty haunting, giving Johnny Pearson a decent run for his money.